·Discover “Metamora's Timeless Spirits,” and meet some of the people who have had their own experiences and contact with them. ·Join us for an actual paranormal investigation and learn how to use tools to capture paranormal phenomena (bring your own digital camera or portable EMF equipment if you wish). We lots of different people on these walks, some who are just curious thrill-seekers, some have had previous paranormal experiences and have come to prove it is all real; and then we get those who are huge skeptics and are determined to debunk it at any cost. Which one are you? Hear the stories, some sad, some tragic, some are even funny. Here is your chance to experiece it for REAL ~ feel it, hear it, and maybe even see it...the presence of those that walked Metamora before us. We will be leaving from the Meeting House Antiquesbuilding.Please be at the Meeting House 15 minutes prior to the walk. Wear comfortable walking shoes and dress appropriately for the weather.We don’t want you to confuse the goose bumps on your arms with chill bumps! 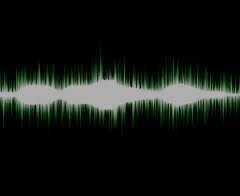 (Don’t forget to bring your digital camera, video camera, voice recorder, or SmartPhone with the Ghost Hunter Apps. NOTE: You might want to include extra batteries, as we have had situations where cameras, cell phones and other electronic equipment have all gone dead simultaneously). Ghost Walk that was captured on numerous cameras. Will you be the one who captures our best evidence yet? Maybe so! 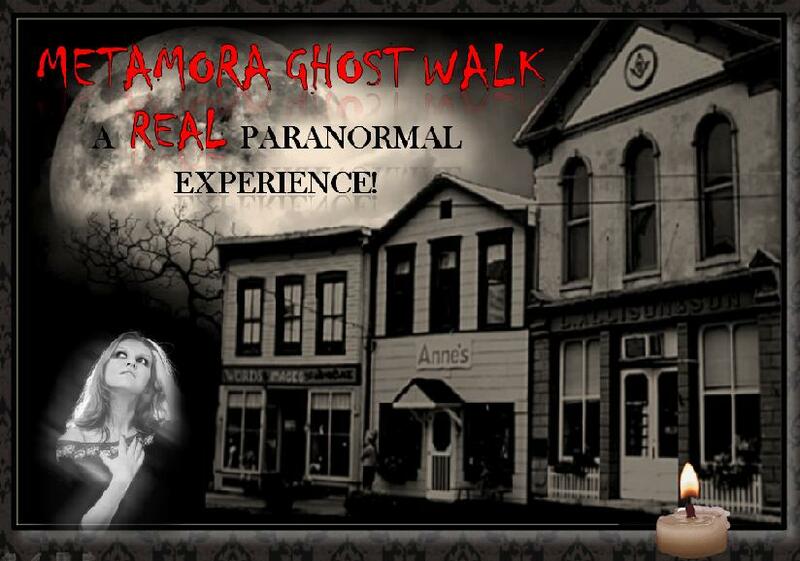 Come and try your skills as a paranormal investigator. 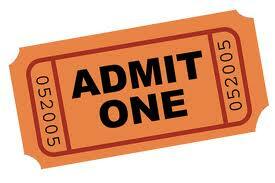 Admission: Tickets will be available at the door on the night of the walk. Admission is $15.00 for adults and children age 13 and over, and $8.00 for age 12 and under (All minors MUST be accompanied by a parent or responsible adult. Not recommended for children under 10 years of age.) Cash or check only (no credit cards). No reservations will be accepted. Update on Historic Metamora Investigation: We had thirteen people show up for this investigation (interesting number that was unplanned.) 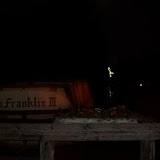 The investigation was done during a full moon, which is a time when spirit activity is hightened. We investigated areas where there have been stories of hauntings, and also areas where things have been sensed previously by some of our members. There were several incidences where our camera and digital equipment simply stopped working, especially near the canal and in front of Metamora's only three-story building. 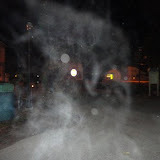 We got some truly remarkable photos of moving orbs and many of us could sense that there were many spirits among us. We got over sixty different photos of spiritual anomalies! It is interesting to note, that on this investigation, we had several unexpected people show up, which again gave us a number of thirteen people for the investigation. We got a lot of anomalies on digital camera, and a lot of energy spikes with EMF. Just before we left, I thought I heard one of our members say, "Who's here?". So I questioned them and said, "What do you mean who's here?" They all looked at me like I was crazy. I said, "Didn't one of you guys say 'Who's here? '", to which they all said, "No." I distictly heard a man's voice ask, "Who's here?" 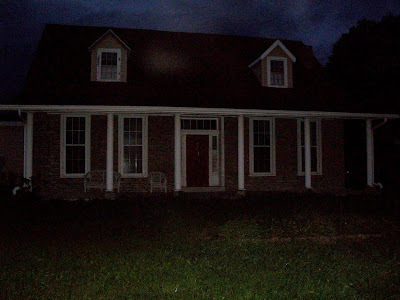 It is even more interesting to note that just before that, I had gone outside alone and got a lot of photos of moving orbs going from the upstairs window, then down to the lower level. I then got a photo of a huge orb over top of all of our cars in the driveway........"Things that make you say........hmmmmmmmmm." ~ D.
Update on Old Christian Church and Mount Holland House Investigation: On this investigation we took two "Ghost Box" tools in an attempt to get the spirits to communicate with us, and wow, did they ever communicate! We had the spirit of what we believe was a Civil War soldier who came through. We asked if there were any Civil War soldiers here, as just the week prior there had been a Civil War reinactment held in Metamora. The soldier told us about a tent, marching, about a brown pony and also about suffering. This happened as we were walking up Lover's Lane. We also had spirits communicate with us at the Mount Holland House. We know that one was a man and one was a little girl. When one of our members began saying "hello" in several differnt languages (due to the fact that many immigrants worked on the canal and the railroad, and stayed in Metamora), we had an interesting communication where we were told, "Russian," which was one language we did not know how to say "hello" in. We also asked the little girl to communicate with us, and asked her tell us about herself. She told us she was "seven" years old. 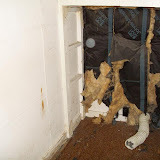 We got a lot of great photo anomalies also. Here is a REALITY EXPERIENCE you will never forget! as well as your own senses to detect paranormal activity. 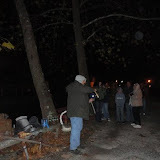 Update on Metamora, Indiana Ghost Walk Tours: Both of our ghost walks through historic Metamora were a huge success. We had people who were quite surprised that this quaint little town has such a rich and interesting history. Who knew that this is where the family that created Van Camp's pork and beans originated? We knew. 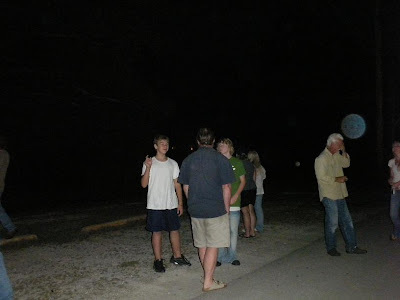 Even more facinating to many of those in the groups was how many photos they actually got that had some sort of paranormal anomalies in them! Below are a few of the photos we have had submitted from the walks. to tell an old friend named Walter "hello" from his friend Sally. She said she knew he would still be there. This is what we got. 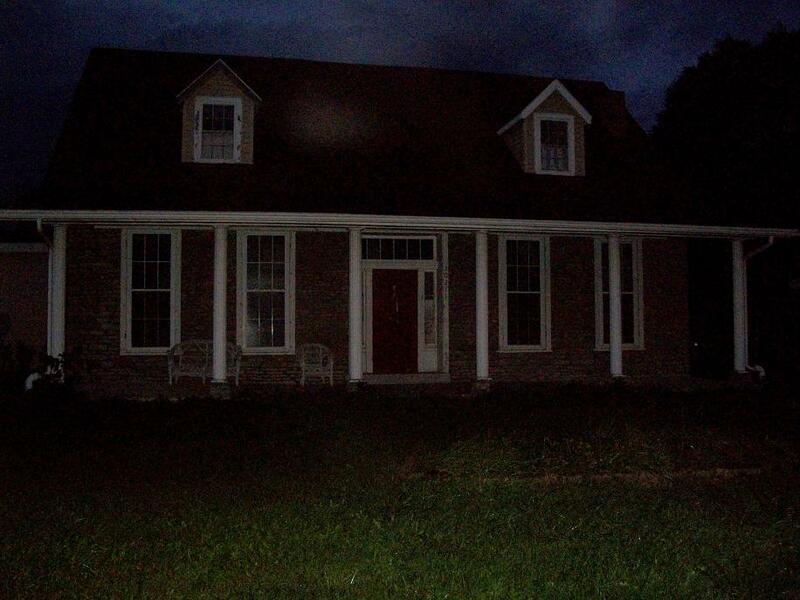 to be the oldest and most haunted building in Metamora, Indiana. (Currently Annes) and Allison General Store (Currently Old Crows II). who likes what we are doing and totally enjoys the stories about his town. 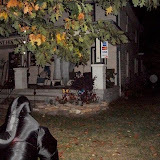 October 29, 2011: Lots of orbs at the old Dr. Millard F. Cupp House tonight.